Smaller is better! 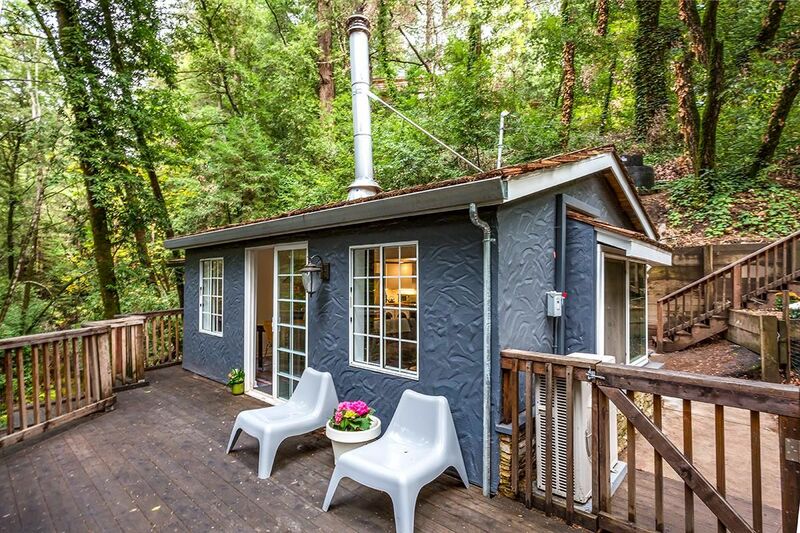 That's the motto of this darling gray-blue cottage in Scotts Valley, California. The house clocks in at only 583 square feet (54 square meters), but one look inside and you'll agree the tiny footprint only adds to the cozy atmosphere. The layout is open and flows well, optimizing every square inch. Modern yet rustic, the interior style melds the best of both worlds. Laminate flooring made to look like reclaimed wood provides gorgeous farmhouse style but is conveniently low maintenance. Bright white walls, vaulted ceilings and skylights help the whole home feel spacious. Check it out below! The living room and dining area share one open space with plenty of windows to let in natural light and allow the occupants to enjoy the surrounding views of nature. 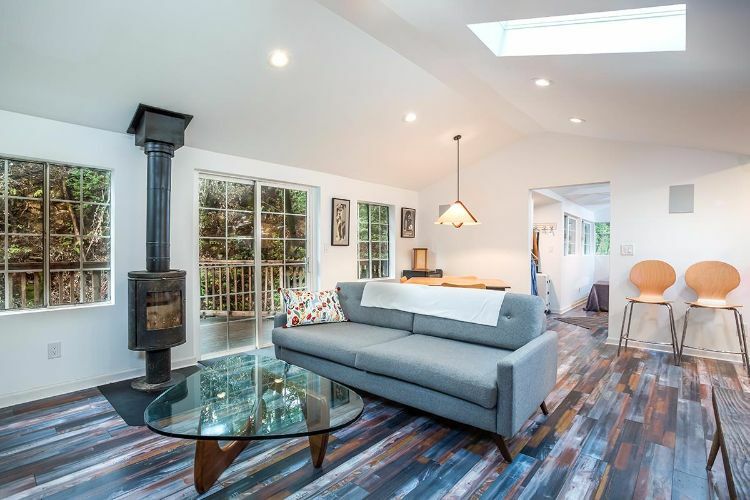 The house was built in 1953 and features the original wood-burning stove. The use of mid-century furniture helps to update the space while still nodding to its vintage origins. 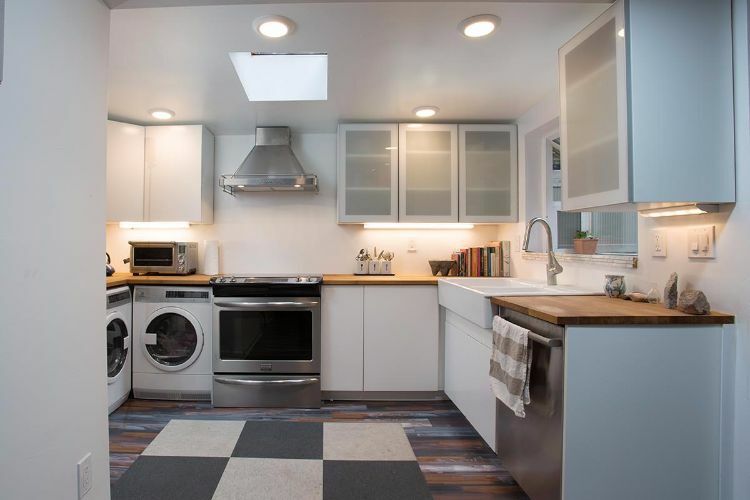 The new kitchen is sleek and contemporary. A farmhouse sink keeps the space from feeling too modern. Butcher block countertops are a warm touch and also practical. Classic finishes are used in the bathroom, including marble tile and polished nickel fixtures. 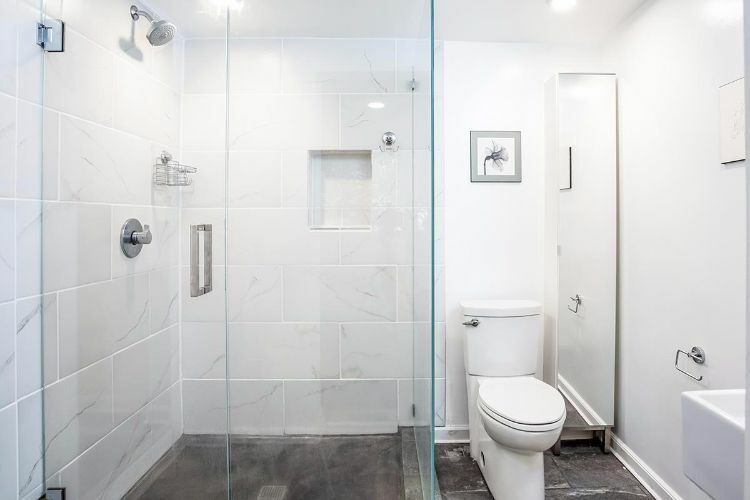 The all-glass shower proves that you can still have a decent-sized shower, even in a small bathroom. 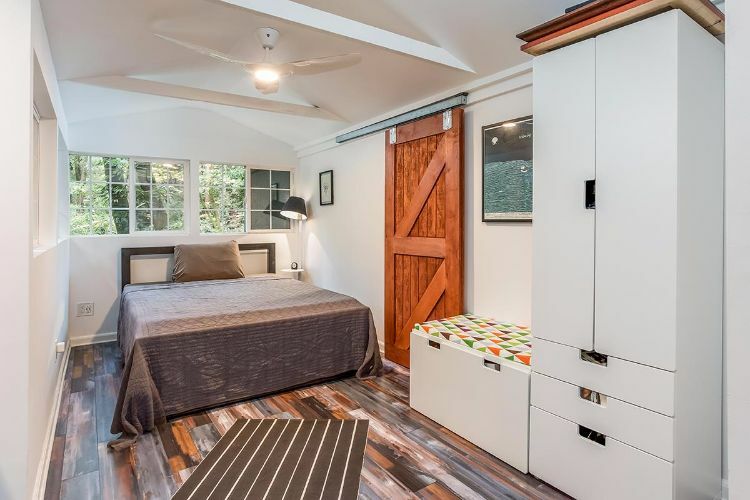 The bedroom is petite yet cheerful thanks to all the windows and the exposed beam ceiling. A clever storage system and a sliding barn door both provide style as well as space-saving function. The office space is just the right size. 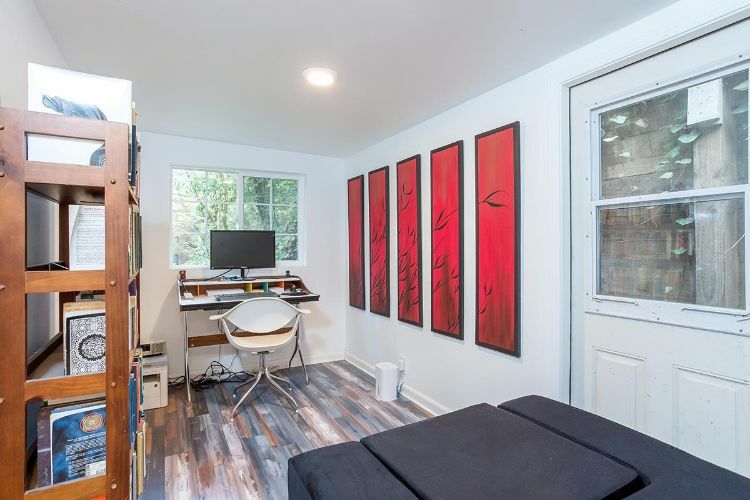 The red artwork adds interest and color to an otherwise all neutral room. 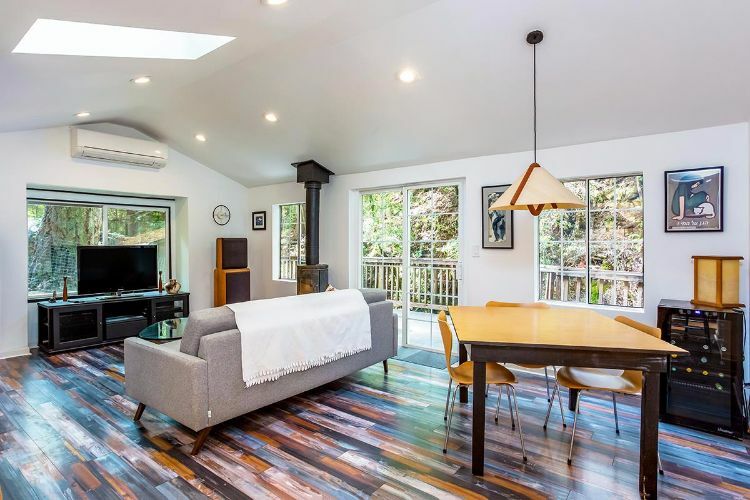 What do you think of this tiny creek-side abode? Could you live in a small house like this one? Share these inspiring photos on Facebook, Instagram and Pinterest.